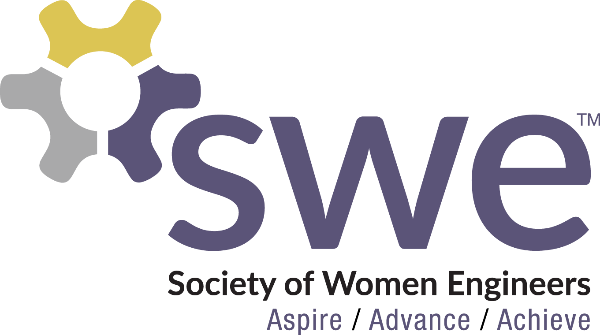 Become a SWE National Member! Check out the SWE Calendar! Interested in being on the officer board next year? Fill out this short interest form to let the nominating committee know! Questions? Contact swenomcom2016@gmail.com. SWE's got spirit, how about you? SWE's got spirit, so should you! Come buy a spirit jersey to show off your swe-rit! Contact Katie Garibaldi at garibal2@illinois.edu. Companies are searching for talented women in STEM. Submit your resume to the SWE resume database so employers can find you! If you have any questions, contact Anjolika Bhadra-Dave at bhadrad2@illinois.edu . Apply here for the New Faces of Engineering - College Edition! This award recognizes the best and brightest whose academic successes and experiences in the engineering field have positioned them to make an impact. You must be part of a participating organization to apply (SWE is one of them). Winners receive a $500 scholarship, and will receive recognition nationally through College Edition as well as locally through the College of Engineering. Deadline to apply online is 11/20. Contact Chamila Amithirigala at amithir2@illinois.edu. The SWE Student Leader Certificate was created to recognize outstanding members for their contributions to the organization and their participation in many of the main areas of SWE. Eligibility for the SWE Student Leader Certificate is based on attendance at a variety of SWE events and completion of the application form (sent out in Spring 2016). For a list of the required events, see the attached flyer here. Contact Chamila Amithirigala at amithir2@illinois.edu. The Service Society Food Drive has started! RSOs compete to see who can donate the most food by December 4th. All proceeds go to the Central Illinois Food Bank. Boxes are labelled in the Swoffice, and whichever RSO donates the most gets a prize! Community Service will also be collecting cash donations which will be used to purchase canned foods. Let's win!! Contact Lillian Roderick Buescher at lilyrbuescher@gmail.com. SWE is taking action to help eliminate cancer. For the Relay event, we will raise money and awareness to help the American Cancer Society in their lifesaving mission. Saving lives from cancer starts one team, one participant, one dollar at a time. Join our team here. Contact Matthew Sim at marysim2@illinois.edu. Each week, we go to Leal Elementary to do an engineering lesson and activity with a kindergarten class! FKO will be occurring on Wednesdays this semester. Contact Molly McGiles and Caitlin Haisler at mcgiles2@illinois.edu and haisler2@illinois.edu. Monthly coffee chat with grad students or may be invited guest speakers for catching up with grad school application progress. Plus exploring more about the transition from engineering undergrads to other grad schools such as med school, business school or even law school. :-) Contact Supatcha Chavalvechakul at chavalv2@illinois.edu. Come enjoy delicious food and help raise money for SWE! Make sure to show them the flyer here before purchasing your food. Contact Jennifer Kwon & Mallory Wall at jkwon.h.122@gmail.com. The SWE intramural volleyball team will play Wednesday nights from 9-10 at the ARC! To join the team, create an account on the link here. Use your UIN for the participant number. Once you're signed in, click on Join a Team and select SWE from the drop-down menu under "Team." The password is swolleyball. Accept the terms and conditions and click "join." You must do this before 2pm the day before a game to play in that game, so join the team by 2pm on Tuesday if you want to play this Wednesday! Hope to see you there! Contact Gina Pfister at gmpfist2@illinois.edu. Join in the fight against cancer by coming to watch the hit film My Sister's Keeper! Refreshments and tissues will be sold; $2 entrance fee goes towards SWE's Relay for Life team and the event in March. Contact Matthew Sim at marysim2@illinois.edu. Come learn the basics of self defense with your fellow SWEsters from the University of Illinois Police Department in this interactive two hour session! This training will be targeted at female students, but anyone who feels that they may benefit from attending is welcome to attend. Contact Tonisha Thacker at tthacke2@illinois.edu. The Recruitment and Membership Enrichment Committees are teaming up to present a workshop about how you can be an ally for the LGBTQ community on campus and in the workplace. Tara Cullerton and Tonisha Thacker will be presenting "The Future of Inclusion: How Millennial Allies Can Make a Difference for LGBTQA+ Inclusion on Campus and in the Workplace," a workshop that was presented this year at WE15. Contact Nicole Vail at nvail2@illinois.edu. Come join us for an opportunity to network with professionals and alumni from various companies! The event will be held in the Illini Union from 11AM-1PM on Saturday, December 5. There will be a brunch served. Please RSVP here by Tuesday, December 1. There will be a $5 deposit for national SWE members which will be given back at the end of the event. If you are not a national member, then there is a $5 fee that you will not get back. Contact Sherry Yu and Alli LaHood at smyu2@illinois.edu and alahood2@illinois.edu. Registration to attend weSTEM 2016 is now open. Join us for weSTEM 2016 on Saturday, February 6, 2016 at the Illini Union. The Women Empowered in STEM (weSTEM) conference, GradSWE's flagship initiative, provides graduate students with access to current and future STEM leaders, lending insight into diverse career paths stemming from a graduate degree. This one day conference will help you beINSPIRED, stayMOTIVATED, and growPASSIONATE. Visit here for more information. Space is limited, so register early to secure your spot! Contact Jin Kim at hkim257@illinois.edu. Come learn about opportunities for engineering students to study abroad with representatives from IPENG. There will also be a panel of students who have studied, interned and volunteered abroad in the past to share some of their experiences and answer your questions! Check out here for more information. Contact Geethi Loganathan at geethi.loganathan@gmail.com. Do you like working with kids? Want to share your passion for engineering with others? Come to the Outreach Committee meeting and learn about ways to get involved with outreach events this year! Contact Ashley May and Lara Flasch at acmay2@illinois.edu and lflasch2@illinois.edu. Come learn about Fundraising Committee and all the cool events we are currently working on :) Contact Shreya Santhanam at smsanth2@illinois.edu. Want to provide some input for a potential product for a real company? Complete this survey here to provide feedback on a safety product that is targeted for women ages 18-24. Contact Nick Binkus at nickbinkus@gmail.com. Fill out this interest form here to commit to buying a SWE coffee mug! You can buy as many as you want! The design is at the bottom of the form, and won’t change too much, if at all, when we order the mugs! Let me know if you have any questions! Contact Katie Garibaldi at garibal2@illinois.edu. Introduce a Girl to Engineering Day (IGED) is a major Outreach event in the spring for high school girls. We need your help to find some awesome female engineering professors to be design challenge judges for this event! We are also looking for labs that the attendees could tour. Fill out this form here to let us know about any professor(s) you would recommend, or if you work in a research lab that would be fun for the girls to tour. Contact Abbie Gerth and Rebecca Ficht at agerth2@illinois.edu and ficht2@illinois.edu. Passionate about a subject or topic that makes you unique? Help us get to know you by presenting the November Meet & Eat! Fill out this survey here if you are at all interested in presenting. Contact Katerina Economou at keconom2@illinois.edu for more information! This is an office food survey that will help me figure out what food SWE members want/like so that I can purchase them for the food cabinet for them to snack on during office hours. Fill out the survey here. Contact Jasmine Kwon at jazkwon95@gmail.com. Did you participate in Little Sisters Weekend 2015 as either a Big or Little Sister? Tell us about your experience so we can improve the event this year and use your quotes to advertise for LSW 2016! Fill out the survey here. Contact Tatiana Schaffer at tschaff2@illinois.edu. The end of the semester is approaching fast! Upperclassmen, you've taken all your classes, completed all your requirements (hopefully), and participated in your RSOs, but what about everything else? Or maybe you're still new to campus and looking for ways to kick start your involvement in our department! The MechSE Advancement Student Committee is proud to host the second annual departmental Bucket List Challenge! Participants will be competing in teams of four for some exclusive MechSE prizes and memorabilia. The steps to participate are simple. 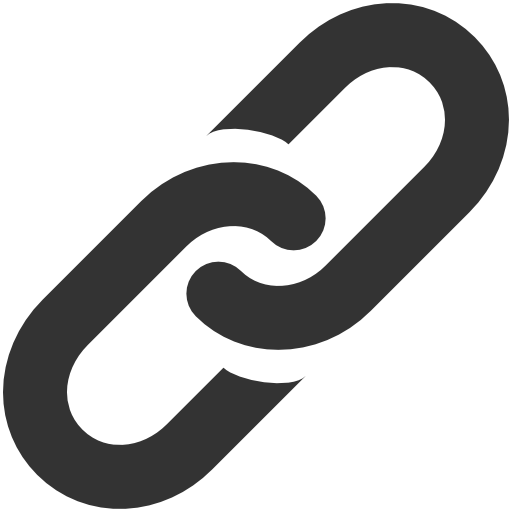 First fill out the Google form at the bottom of the page, join the official "MechSE Bucket List 2015!" facebook group, and keep your eyes posted for the official challenge list! Sign up before Thursday, November 12th so your team will get the most out of the competition week! Sign-up will be extended until Wednesday, November 18th, though, for those who want to sign up in the middle of the week. Keep in mind that your team will earn more points if you show age diversity (i.e. a team consisting of seniors and freshmen rather than just seniors or just freshmen). Got a team of four already? Sign up using the provided link. Don't have a team? That's okay - sign up and we'll arrange a team for you! The competition will be happening November 13th-November 20th. If you have any questions, send an email to kcruse2@illinois.edu. Get ready to show 'em what you're made of! Team Registration Form: Sign-Up Here! SME is offering special Summer Internship opportunities for Geotechnical Engineering Master’s students. Students must have already completed one semester of their Master’s program to qualify for consideration. The Summer Internship lasts from May 2016 through August 2016 with the possibility of part-time employment thereafter. We offer competitive wages and a $500 per month housing allowance to those selected to participate in our program. Here is a job posting we would like you to share with your Master’s-level students. Thank you for forwarding this information to them. We look forward to hearing from your students. Contact Jennifer L. Davis at davis@sme-usa.com. Copyright © 2015 SWE Illinois, All rights reserved.